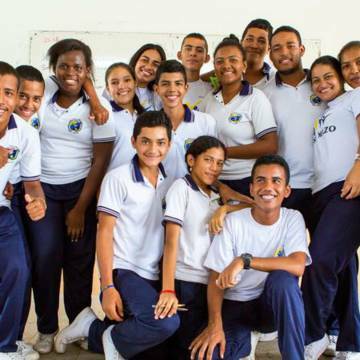 Join us on a peace building mission in Colombia! Hands On is a fundraising scheme that allows your parish to support a community as they undertake a three year project, following their progress throughout. When a project is successfully completed, your parish will journey on to a new community to follow and support. Sign up to Hands On. Introducing our current Hands On project: Magdalena Medio, Colombia! In 50 years of conflict, Colombia has suffered so much. More than 280,000 people have been killed; 60,000 are missing and over 7.7 million have been internally displaced. Colombians are tired of being caught between government forces, guerrillas and paramilitaries. The only solution is peace. Sign up to Hands On and over the next three years your parish donations will help to empower the Magdalena Medio community to transform their lives through peace building activities. You will receive project updates three times a year, with the option of receiving additional updates via email, so you can truly see how your parish donations are helping to change lives. Your parish donations directly fund the Hands On programme and are therefore essential to make each project work. Get creative with your parish fundraising by visiting our A- Z of fundraising ideas! Yes! On behalf of my parish, I also want to receive additional email updates from my Hands On community. This will not exceed 1 email update per month. Downloads for Hands On Fundraising in your Parish. Print off this sheet to send in your Hands On Parish donations. Share this PowerPoint presentation with your parish, to introduce the new Hands On project. Put up this poster featuring Rosana from Colombia at the back of church. Your questions on supporting Hands On with your parish, answered! You can submit your parish donations here. Remember to tick the box: ‘I am giving on behalf of an organization’, which appears in the ‘Home Address’ box.